In our Home Studios, neW Songs are always in production, Here are some samples of what landed on the first ablum, and what the second Album will have in store! All of the Songs from "Growin' up" are available in full length. The second album will be Released before the end of summer. So not only "Growin' Up" will be in circulation, but whatever the sencond album we be called, as well! 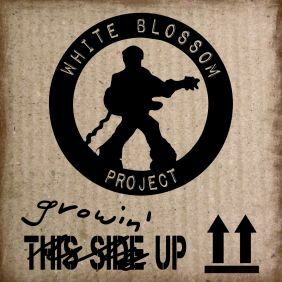 Get youR White Blossom Project Cd and rock us in the car, in the house and in your hearts!